A new lecturer position in social sciences is available at University of Helsinki. Applications are welcome before February 19, 2019. The Faculty of Social Sciences is Finland's leading research and education institute in the social sciences, and the country's most diverse social sciences faculty in terms of the range of its disciplines and fields of research. The Faculty has a strong international research profile and an international master's programme, and several of its disciplinary units have been rated among the top 50 in the world. The Faculty has approximately 350 research and teaching staff, and each year it awards some 350 bachelor's degrees, 400 master's degrees and more than 40 doctoral degrees. For more information, please see the Faculty website at http://www.helsinki.fi/socialsciences/. for a fixed-term appointment from 1 August 2019 to 31 December 2022. The duties of the university lecturer will include providing teaching in accordance with the degree requirements, supervising and examining theses and dissertations, conducting research, and contributing to the development of the Centre for European Studies and the completion of other tasks in the discipline. European studies is understood broadly as a discipline that explores European societies, their interconnections and European cooperative institutions. The appointee to the university lectureship will provide teaching and supervision in the international Master's Programme in European and Nordic Studies, coordinated by the Centre for European Studies, and in the undergraduate programme in EU studies. The appointee will serve as the academic coordinator of the above programmes and be partly responsible for planning and implementing modules in the teaching programme as well as developing the programmes in cooperation with other teachers and degree-programme staff. The teaching duties of the university lecturer will include an introductory course in EU institutions and operations, included in the undergraduate programme in EU studies, thematic courses in the Master's Programme in European and Nordic Studies, and the supervision of theses and dissertations. The appointee must be able to supervise theses and dissertations in the social sciences and provide related methodological teaching. The supervision of international master's students drawing up their personal study plans is a crucial part of the appointee's job description. The university lecturer will mostly teach in English. The appointee must hold an applicable doctoral degree and be able to provide high-quality teaching based on research and to supervise theses and dissertations. The appointee is expected to have extensive expertise as well as knowledge of the various areas of European and EU studies. When filling the position, particular emphasis will be given to applicants' previous experience and qualifications in coordinating, planning and implementing international degree programmes as well as teaching and supervising international students. 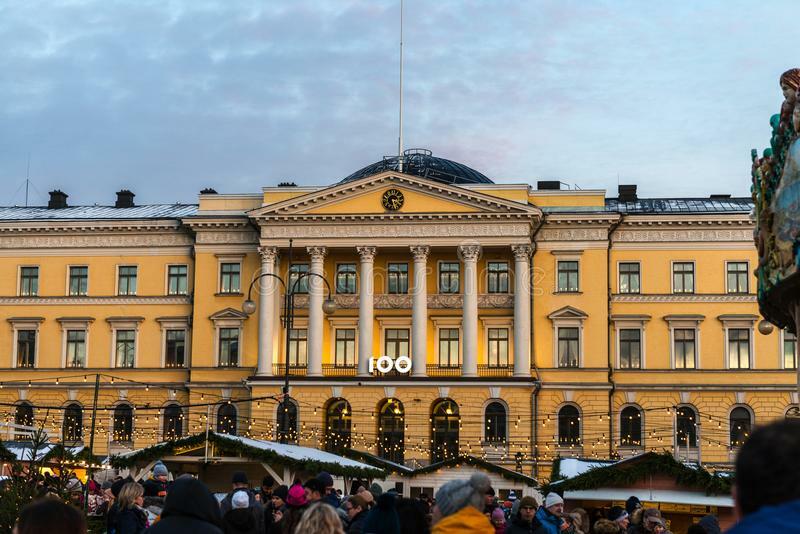 The appointee is expected to have a vision for the future development of international degree programmes and teaching as part of the University of Helsinki's strategic plan. The appointee is also expected to have advanced interaction and collaboration skills as well as organisational skills. Leadership experience will be considered an asset. The appointee is expected to have excellent proficiency in English because he or she will mostly teach in English. Knowledge of other languages will be considered a further asset. - Scientific publications - Other scholarly activities - Teaching experience, supervision of theses and dissertations and other pedagogical merits - Pedagogical training - The development of teaching - The production of learning material - The applicant's teaching demonstration - The interview with the applicant The annual gross salary for a university lecturer varies between 42,300 and 65,000, depending on the appointee's qualifications and experience. A six-month trial period will be applied. Please submit your application, together with the required attachments, through the University of Helsinki Recruitment System via the link Apply for the position. Applicants who are employees of the University of Helsinki are requested to submit their application via the SAP HR portal at https://saphr.it.helsinki.fi/irj/portal. - A curriculum vitae - A numbered list of publications on which the applicant has marked in bold his or her five key publications to be considered in the assessment of applicants - A report (max. 5 pages) on practical experience and qualifications relevant to the assessment of teaching skills as well as a plan for the development of teaching and study modules in European studies - A report (max. 3 pages) on the applicant's scholarly activities, including specialisation in European studies and the acquisition of research funding Detailed information on the CV and the list of publications as well as the presentation of teaching skills can be obtained online: www.helsinki.fi/en/faculty-of-social-sciences/faculty/applying-for-teach…. The enclosures must be submitted as a single PDF file named as follows: fieldofposition_lastname_firstname. Other enclosures, such as recommendation letters or certificates, are not required. Further information on the position and the work environment may be obtained from Research Director Juhana Aunesluoma, +358 2941 28808, juhana.aunesluoma(at)helsinki.fi. Further information on the recruitment process may be obtained from HR Specialist Minna Maunula, minna.maunula(at)helsinki.fi.